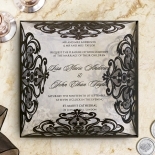 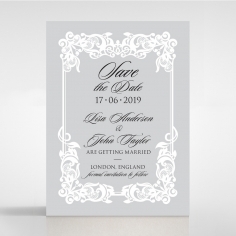 Allow your love story to exude from the moment you announce your wedding to your special day itself with this invitation design. 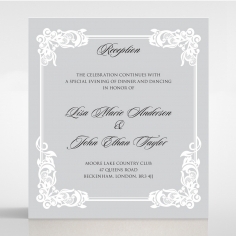 Unique elegance combined with ultra-sophistication and romance oozes from this design. 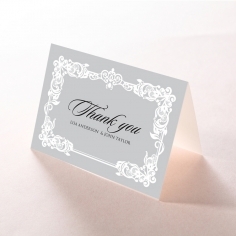 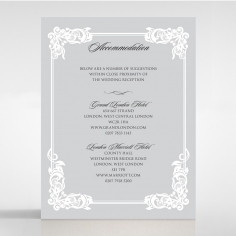 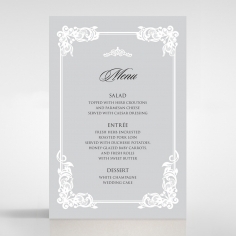 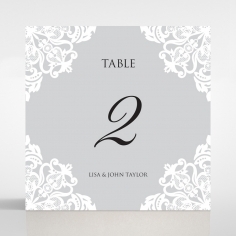 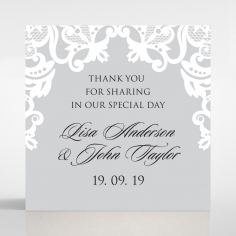 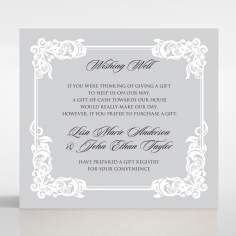 It features a square structured quarterfold in a pocket style that drapes over a shimmering pearlised white inner card that is adorned with our signature black raised ink to highlight your personalised wording. 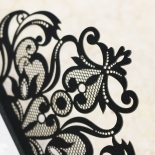 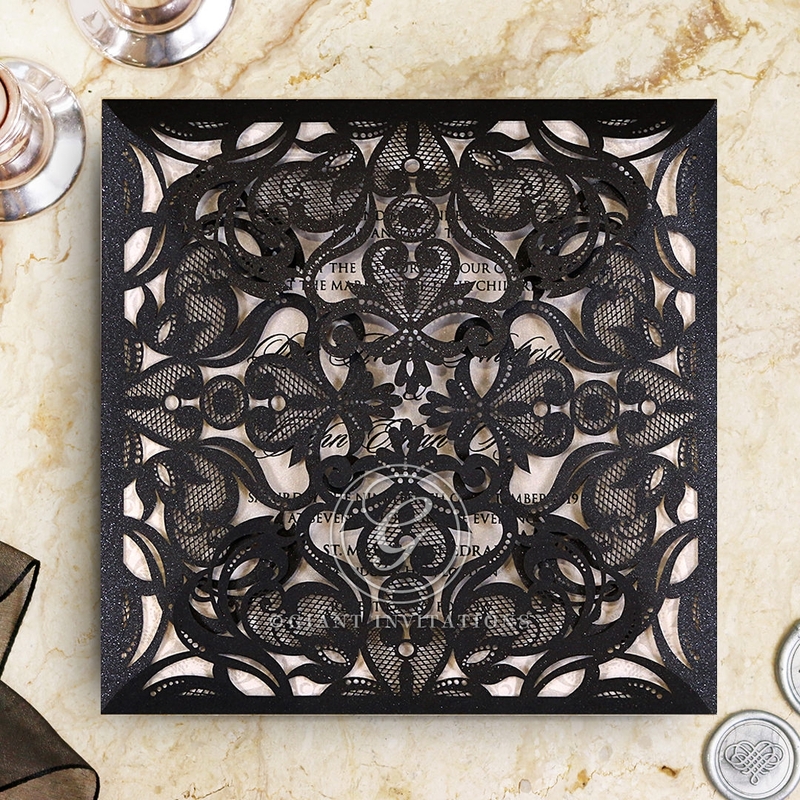 The royal black laser cut cover is created with panels consisting of intricately laser cut mesh detailing with ornate vectors. 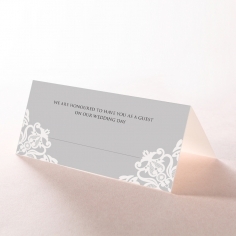 Your message in subtle raised print is presented using dramatic typography that can be customised further to suit your taste. 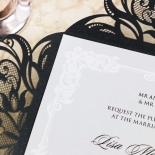 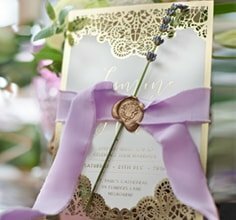 What a gorgeous invite - I didn't know what to expect as I am organising the invites myself and because I am ordering online without seeing what it is like in person I was really apprehensive BUT I was pleasantly surprised. Giant Invitations made it really easy for me - I got sent the samples at no cost to me and when I received the invitation it was even better quality that I had imagined. 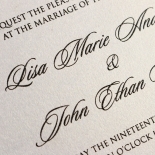 The card stock is thick, the craftsmanship is intricate, even the envelope was high quality with a sheen and the whole invite exuded luxury! 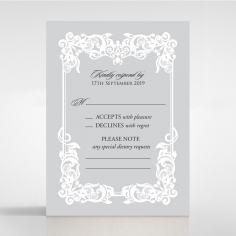 I'm really excited to organise these invites now and Giant Invitations makes the process so easy. 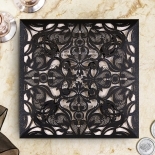 I highly recommend this particular design - it's very unique and beautiful in person.